Retirement Income – Do You Have Enough? Here’s a million dollar question: How will you transform your savings into income that will last throughout your retirement? The Social Security Administration estimated the average monthly Social Security benefit paid to retired workers in January 2017 to be $1,360. The maximum benefit paid at full retirement age (FRA) is estimated at $2,687. Talk with your tax or financial professional about whether you’re likely to owe taxes on your benefits. Make sure you know your FRA. For Americans born between 1943 and 1954, FRA is age 66. However, if you were born in 1955, FRA is 66 years and 2 months. The FRA increases (in two-month increments) until age 67, which is FRA for Americans born after 1960. Are offered by 73 percent of plans. Many plan sponsors offer systematic withdrawal options that allow participants to take regularly scheduled distributions from their accounts. Depending on plan provisions, payments may be made in specific dollar amounts or determined by a set withdrawal percentage or a specific period of time. In some plans, participants are provided with modeling tools to help them determine payment amounts. Furthermore, participants can choose to work with a financial professional to determine how much to take each year. are offered by 15 percent of plans. These investments are usually managed to “provide sustainable retirement income, either over a fixed time horizon or over the lifetime of the investor.” Income is not typically guaranteed. are deferred income annuities that begin making required payments no later than age 85. Retirees who want reassurance they will not outlive their savings may want to consider investing a portion of their savings in a QLAC. 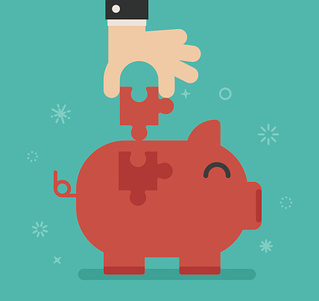 HSAs should not be confused with flexible spending accounts (FSAs). They are not the same. You must participate in a high-deductible health plan to have an HSA, and you can contribute more to an HSA than to an FSA. Contributions are tax-deductible, interest and earnings may grow tax-free, and distributions are tax-free for qualifying medical expenses. Best of all, you can accumulate assets into retirement and use your HSA as a healthcare fund. Distributions used to pay for healthcare are tax-free, and those used for living expenses after age 65 are penalty-free. Many people have substantial assets tucked away in IRAs. They can be systematically withdrawn, invested for income or growth, used to purchase annuities, or utilized in other ways. Your age and the type of IRA you have may affect the role it plays in your retirement income strategy. Many people choose tax-efficient retirement income strategies, which means they try to minimize taxes during retirement. Tax-efficient strategies typically affect the order in which assets are withdrawn. The strategy you choose to create retirement income should be tailored to your specific lifestyle and financial goals. As a result, it should also balance the level of risk you’re willing to accept against the level of income needed. If you would like assistance formulating your retirement income strategy, please contact your financial professional.